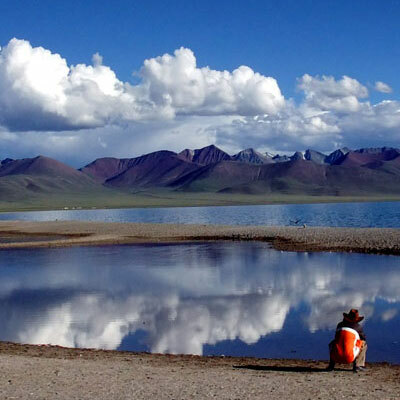 The special geographic features of the Tibet Plateau nurture the flavorful Tibetan cuisine. However, it is also largely influenced by the flavors of Nepali cuisine, Indian cuisine and other cuisines in China. These flavors mix together, making Tibetan food exquisite. 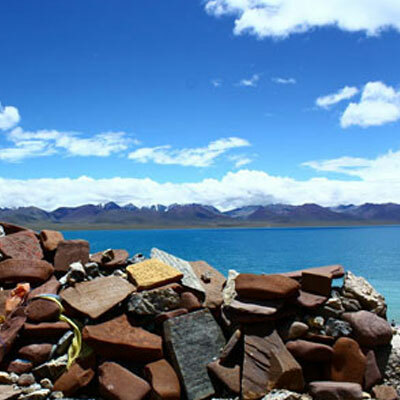 While admiring the fascinating scenery of Tibet, seize the chance to have a taste of Tibetan food. Tibetans have rice, wheat and barley as staple foods, and usually they eat food made of barley, such as Tsamba. The so-called tsamba is actually stir-fried barley. Different from the process of dealing with wheat among the Han people, barley is first stir-fried, and then milled into powder without being peeled. Tsamba is often accompanied with yak butter tea. Pour out half a bowl of yak butter tea, then add tsamba into the tea, stir it with your fingers, crush it up and it is ready to eat. 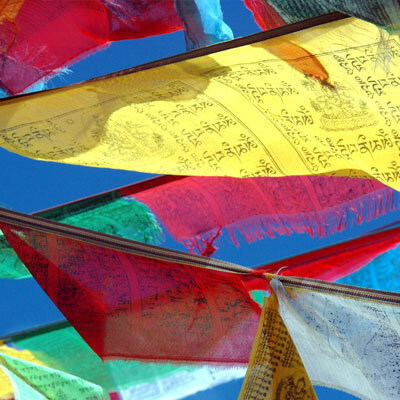 During festivals, Tibetans throw tsamba into the air to pray for a good luck. Tibetans like eating meat to fight the cold. 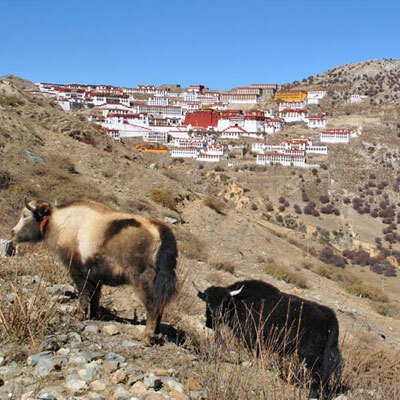 The meat of yaks and sheep is the most favored. The meat of goats is disliked, while that of dogs, horses, and donkeys is taboo. In some areas, people do not eat fish for they regard fish as the incarnation of the god of water. Other people do not eat chicken or even eggs. Food Taboos differ from area to area. Tibetans are used to eating raw meat. In winter, they cut the meat into slices and hang them high up. The meat will keep fresh in the coldness and gradually dry. In the next spring they can either eat the air-dried meat as it is or cook it. Sweet tea and yogurt are the other two common drinks. Sweet tea is what you get when you add milk and sugar to boiling tea. It is very popular to propose a toast of tea when seeing somebody off. Yogurt is more popular in pastoral areas. Tibetans do not eat vegetables very often. In recent years, the situation has changed a lot, but vegetables are still much more expensive than those in Nepal and Mainland China. Chang is a kind of low-alcohol liquor that is brewed using fermented barley. 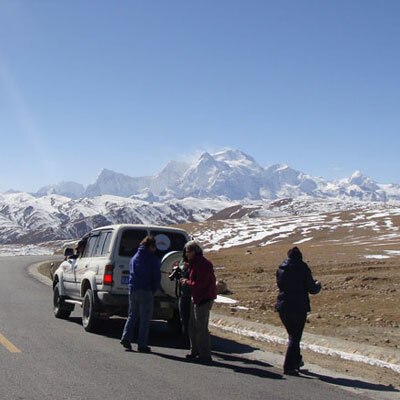 It is enjoyed by all Tibetans, men and women, children and elders. It is also a necessity for festivals and religious ceremonies. These days, Tibetans dance freely and drink sweet chang to their content on the grasslands. Yak butter tea is a daily drink in Tibet and a drink to greet guests as well. Almost every Tibetan family keeps a lot of yak butter in storage. When they make yak butter tea, they put yak butter into a bowl of tea, and after it is thawed, heat it up in the cooking pot. It is very convenient and rich in calories. Tibetan cuisine tastes very light, while aromatic, sweet and crisp food is a local favorite. Most food is boiled, deep-fried or steamed, because it is not easy to stir-fry food on the plateau. 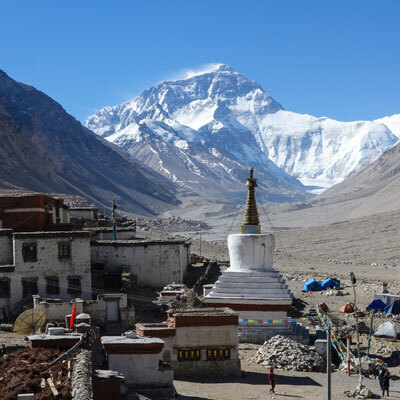 Generally speaking, a Tibetan meal consists of a staple food, meat, drinks and vegetables.